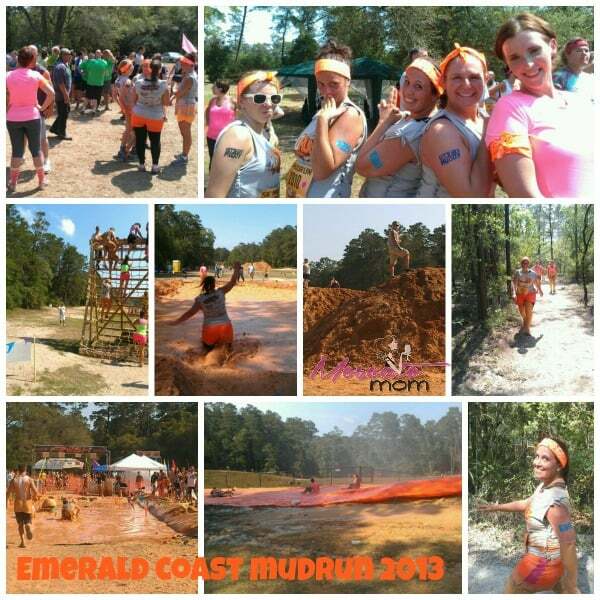 This weekend I had the pleasure of trudging through the mud with some of my favorite ladies for the Emerald Coast MudRun for Orphans. 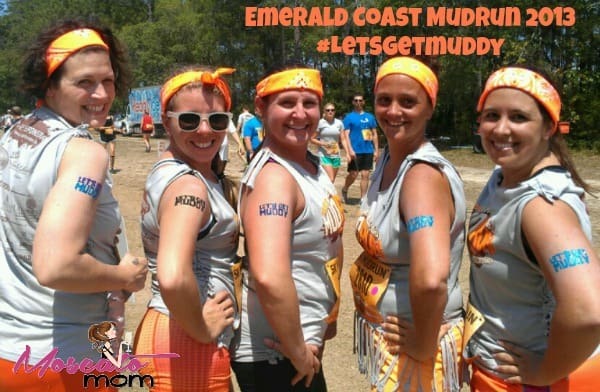 Now, we have all done a Dirty Girl MudRun before, and were not real impressed (it was FREEZING), so we were looking for this race to redeem our opinion of MudRuns…. AND BOY DID IT EVER. Now, first of all, I have not even WALKED 3.1 miles since the McGuires 5k – which if you remember I said I would never do again. That drunken debauchery was just way too much for me. But ever since that race I have been redefining “busy” with two trips to Ohio, one to Destin, and a weekend in New Orleans. Translation: I did not make time to prepare for this race at ALL. In fact, as I found out in the very first mile of this MudRun, I have actually set myself back by doing nothing for 6 weeks. The race consisted of a LOT of running up and down hills on trails through the woods… something I am clearly terrible at. The obstacles were amazing though – some of them I wanted to just stay and play in – like the 100 foot slip-n-slide. From jumping hurdles to climbing over hay bales to swinging on monkey bars to simply trudging through mud – the obstacles were absolutely my favorite part. The part in between…. not so much. There was a Challenger course and a Warrior course – Challengers had the option of doing the Warrior obstacles, which several of the girls did. I kept asking to go back to the slip-n-slide. There was even a Kids Race – which the best part about THAT was since the kids had their own run, we didnt have to worry about running any of them over. Frankly, I prefer an adult only race and wish there were more of them. Thanks to my Running Team – Blood, Sweat and Cheers – for doing another run as a team. Excited to do it again TWICE in June with the Sandshaker 5k and the Jubilee Color Run. You can bet I will be training a LOT between now and then. It’s awesome you did this for a cause, had fun at doing it and yes, now motivated to train for the next. You soooooo can do this!! My sister just did “Tough Mudder” last weekend here in Chicago. I give you guys a lot of credit!!! I am not down with all those obstacles and crazy stuff!!! She had bruises and injuries all over! lol Good for you, though!!! what a great cause, and you did great, good for you. What a fun run! I’m so glad to hear you liked it. I did the Warrior Dash last spring and it sounds similar. It was challenging yet laid back and a great time all at once. I couldn’t stop smiling through the entire thing. I love this series you are doing and this goal you have set. I’ve been following along and it’s very inspiring and fun to read! “This Seemed Like a Good Idea Four Months Ago” – LOL!! Man, that is some course you tackled! Way to go! I love that after shot!!! lol this seemed like a good idea 4 months ago. i love it. 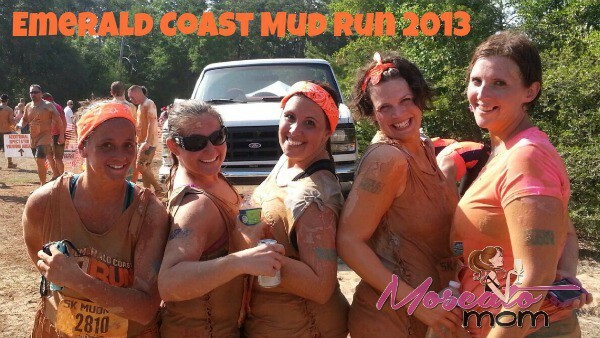 i want to do a mud run. we have one near here that has these big bison head hats afterwards! That looks like a blast! I want to try it! What a fantastic experience you must have had and what a great looking group! Looks like so much fun! That looks like so much fun to me. I would LOVE to do one. I need to start to run…even just 5k’s. I want to. What a great cause and great memories you are making! Gotta love getting dirty for a good cause! 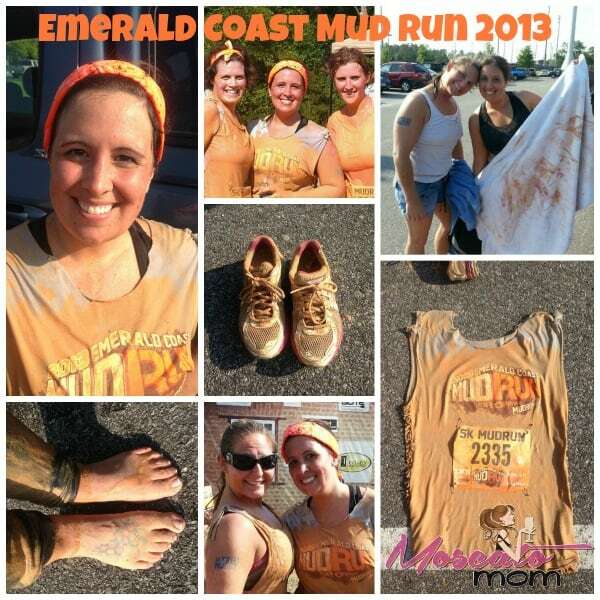 I absolutely loved my mud run. I’m looking forward to my foam run in two weeks. Too bad I haven’t done any real exercise in over a month! Finishing at all is a win in my book! What a fun way to support a cause! what a great cause! i dont think im tough enough to make it through that though!